I usually crave spiced nuts during cold weather. But recently I visited my friend and she had some spiced nuts on the table and I completely emptied it. Then that craving didn't go away. I had to make some and have some in my house! 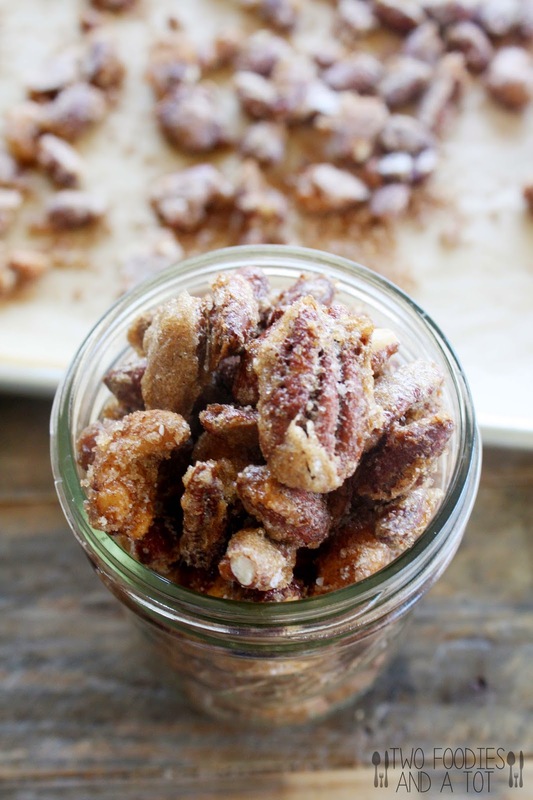 We like candied nuts for salad and because I bake a lot, we usually have some kind of nuts at home and I could start right away. 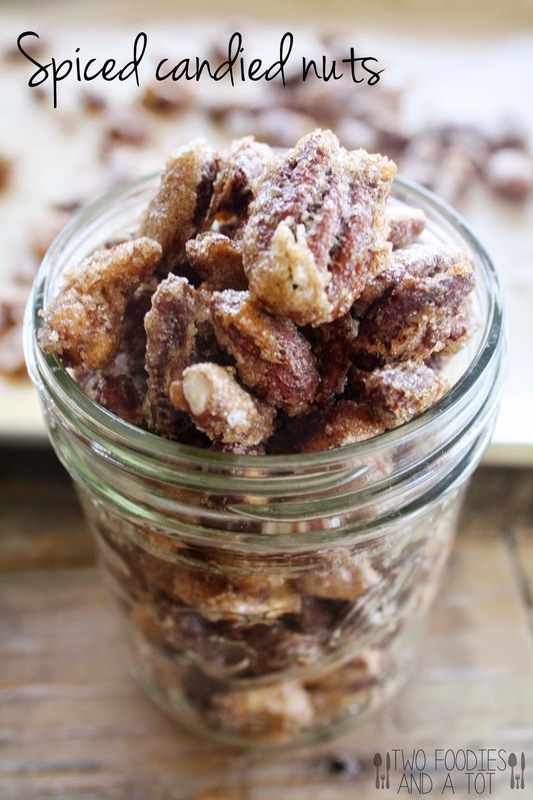 I've always done cinnamon version but never added cayenne before until I found this recipe. This is so yummy! A little hint of spiciness. I actually made two versions. One batch with cayenne and another version with paprika so my tot can enjoy it too. I was sending a big care package for my sister who just had my new niece and this was a great add on too. She loves whatever I make and on top of that, she loves spiced nuts. Anything with cinnamon. 2. Whisk egg white and water together until frothy. Pour over nuts and toss. 3. Mix both sugars, cinnamon, salt and cayenne or paprika and pour it over the egg white and nuts mixture and toss well. 4. On a parchment paper lined baking sheet, spread out evenly. Bake for 28-30 minutes and let it cool. When cooled, break the clusters if desired. Keep in airtight container.